Mmm, what a fancy crudite bowl! I loved all the veggies and the tasty puree underneath. Yum! 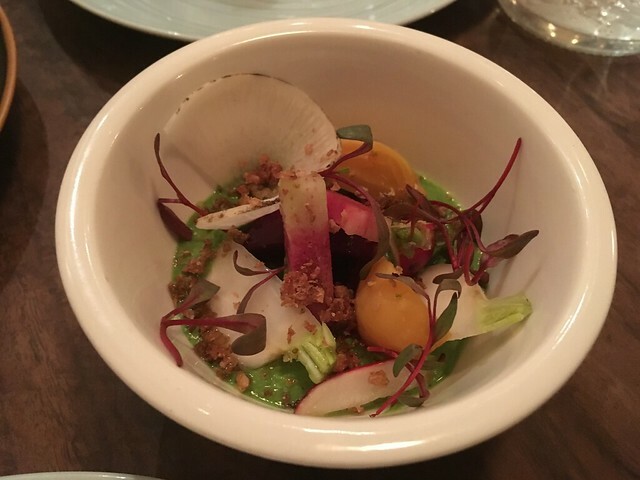 This entry was posted in Petit Crenn and tagged crudite, food, puree, vegetables by vicentesf. Bookmark the permalink.